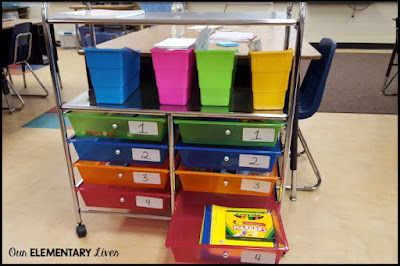 Are there things you need to make your classroom run smoothly? 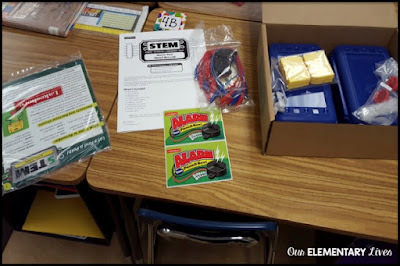 Do you need basic necessities for your students to learn? 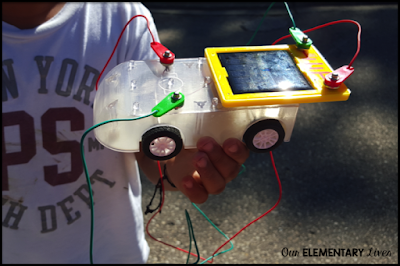 Or do you have a special project in mind that requires specific materials? Like you, I have answered yes to all of these questions at some point in my teaching career. We all know that district and school budgets are tight, but there are other options. What, you say? Donors Choose! 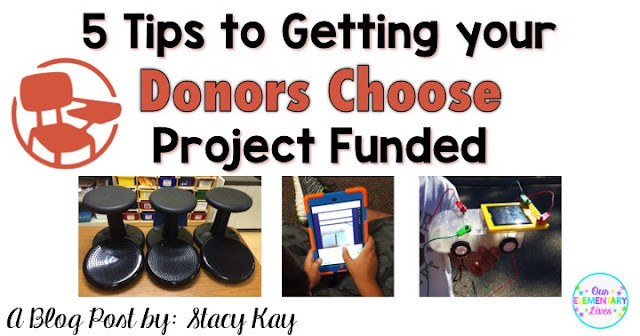 Donors Choose is a website set up to allow teachers a safe and easy way to ask the community to help fund classroom necessities or materials for projects. 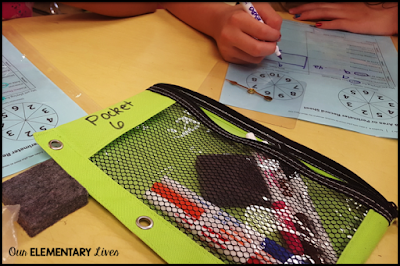 You, as the teacher, create a request for specific items you need for your classroom from the Donors Choose vendors, write a detailed explanation of what you plan to use the materials for, and donors from all over the United States donate to projects they feel are worthwhile. 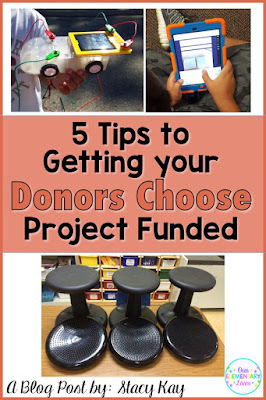 Over the past few years, I have had many projects funded and here are my top five tips to help you be successful with a project on Donor’s Choose. Donors want to feel like they are making a difference by donating. If donors are giving $25-$100 (which is the average donation), they can make more of an impact with projects under $400. Donors also like to finish projects and that's a lot easier when projects are not so big. Think of a great movie or book titles. Would you have wasted your time seeing E.T. The Extraterrestrial had it been called A Boy’s Life? (This was the original title.) Make sure it is catchy but also tells what your project is about. Tell donors exactly how you plan to use your materials. Don’t forget to include how the items will directly impact your students and their educational experience. There are businesses, companies, and individual donors who will mass fund or match donations for certain types of projects based on criteria they choose. Check the page at https://www.donorschoose.org/match-offers to see what is available in your state. For example, several teachers from my school and the whole state of WI had projects funded by Herb Kohl from the Kohl Foundation. Bill and Melinda Gates are another couple who will often match donations as well. I know, I know, you don’t want to sound like you are begging for money. You're not. I have found that many people want to donate to worthy causes. People love knowing exactly where and how their money is being spent. Once your project gets funded on Donors Choose, you write a personal thank you on their website, submit six pictures of the items in use (don’t worry, no student faces or names can be shown), and sometimes six thank you notes written by students are also requested They know exactly how their donation is being used! Put it on Facebook or email family and friends, and then don't be surprised when they donate because they want to support you. 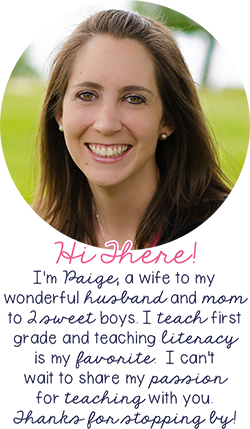 Here are some examples of projects that myself and Paige have had funded. The possibilities are endless. 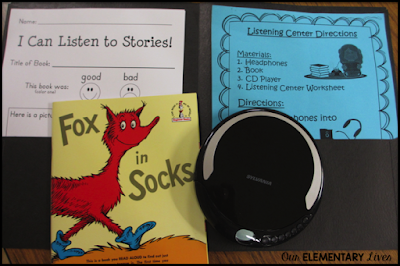 CD Players to Enhance Our Reading Listening Center included CD players and organizing materials. 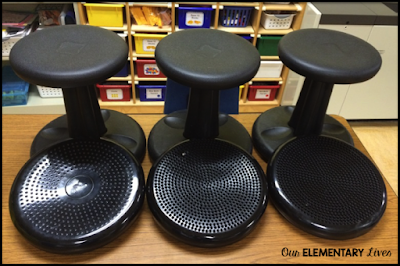 Sweet Seats for Active Learner included wobble stools and balance cushions. 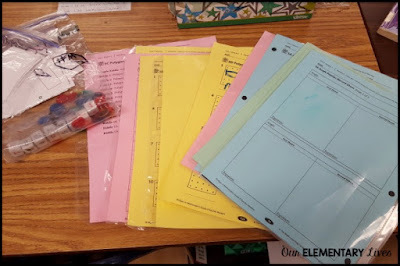 Markers for Math included materials for math. 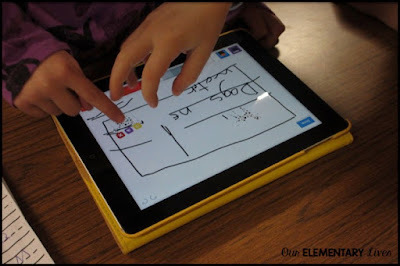 Writing and Story Telling Using Technology included an iPad. Don't forget to pin this post for Donors Choose examples and to share with others. Have some questions? Leave them in the comments, and I can get back to you! What items are at the top of your list? What items have you already asked for? Where did you get your STEM kits from? Did every student have their own?